The SensiFAST™ SYBR Lo-ROX Kit has been developed for fast, highly accurate real-time PCR and has been validated on all commonly-used real-time instruments that require a low concentration of the passive reference dye ROX. 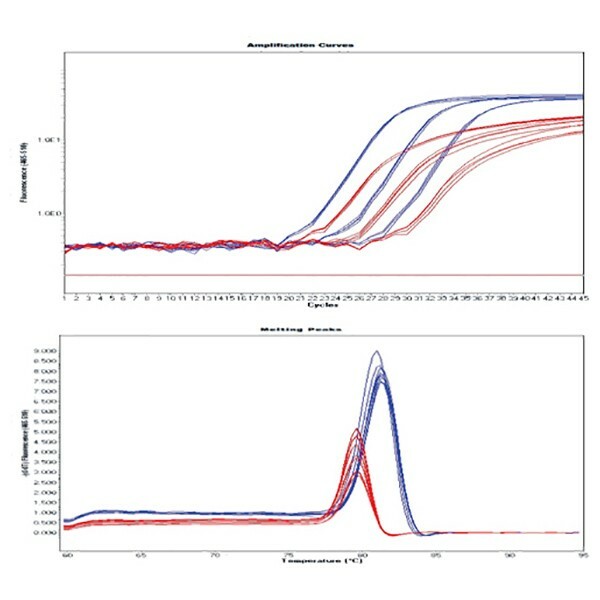 A combination of the latest advances in buffer chemistry and PCR enhancers ensures that the SensiFAST SYBR Lo-ROX Kit produces reliable assay results under fast thermal cycling conditions. An antibody-mediated hot-start DNA polymerase system promotes highly-specific amplification, in turn improving assay sensitivity and dynamic range. The SensiFAST SYBR® Lo-ROX Kit has been optimized to deliver optimal performance in tandem with the SensiFAST cDNA Synthesis Kit, which offers fast, unbiased cDNA synthesis, without compromising cDNA yield or coverage.